Ten-year-old Persinette Basile was forced to flee the palace of Gaule for her life. Now at 18, she must find a way to return in order to obey a curse on her family line. The prince won't know who she is. Not anymore. But she knows him and what he will do if he discovers her true name. Made to fight for her life to earn her place, she vows to find a way to break the curse no matter the cost. To. The. Death. The words describing the tournament turn Prince Alexandre Durand's blood to ice. The last warrior standing will win a spot at his side. It is not a peaceful time in the Algardis Empire. War is raging between the mages and seventeen-year-old Sara Fairchild will be right in the middle of it. She just doesn't know it yet. Sara is the daughter of a disgraced imperial commander, executed for desertion. Sara is also the best duelist and hand-to-hand combatant in Sandrin. She lives quietly with her family's shame but when challenged about her family's honor, her opponent inevitably loses. There are those who still have dragon blood flowing through their veins, distant descendants of the mighty creatures of old. 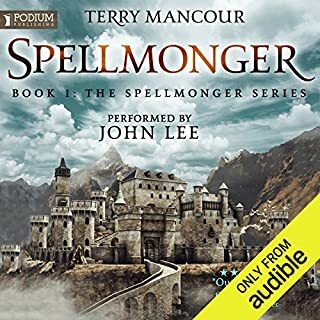 These rare humans have the power to cast magic, the power to heal, and the power to craft alchemical weapons capable of starting wars...or ending them. But they are feared for those powers, and in recent centuries they have been hunted nearly to extinction. 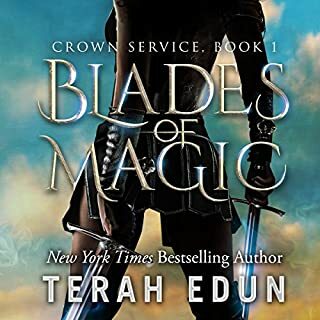 The Dragon Blood Omnibus includes three full-length novels of action, magic, and romance: Balanced on the Blade's Edge, book one; Deathmaker, book two; Blood Charged, book three. An interesting developing story, definitely leaves you wanting more. The relationships that develop show that not all is as you think. And the prejudices that we are brought up with are challenged. Story was good, but the narrator forgot to say her t's which was an unpleasant distraction. 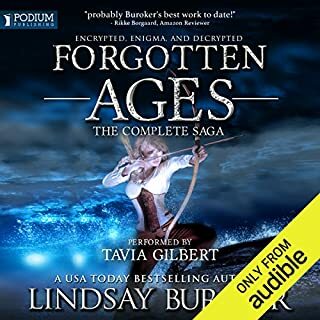 Ive already read the whole series amd thought I would pick them up again so grabbed the audio books, its a great series to get into, if you are looking for a bit of fantasy, good amounts of action and a good story line, give these a go, the author has some great works, try her stuff you wont be disappointed. The reader should learn to read an entire sentence. It sounded like she was reading from an idiot board, pausing in the middle of a sentence, then making it sound like the beginning of a new one. It was very distracting and became VERY annoying. I would have liked to finish the next installments in this trilogy but can't because of her reading. fast paced and witty = win! the engaging charactors held my attention throughout and the twists in the story surprised me. I will be getting the next book for sure. I went into thus thinking it was an interesting premise. Unfortunately, the skill of the writing was a let down, I could barely get half way through the first book. 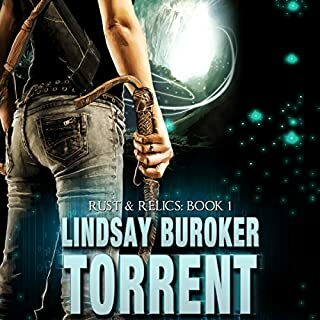 The sheer force by which the author tries to convince the readers of the intense and genuine romantic attraction of the two protagonists was nauseating and frustrating. Honestly, it made the characters seem trite and juvenile. I found the 3 books easy to listen to and enjoyable. Perfect for those instances when you just need to zone out and not think to hard about the story. Narrator did a good job and was consistent throughout with the characters voices. At some points sounding like a computer generated voice but mainly just through the chapter announcements. I will listen to book 4 as the story has me intrigued. My only negative is that there is only the first 5 books on audible ... So I'll have to get the rest of the series in other ways. Sad face. 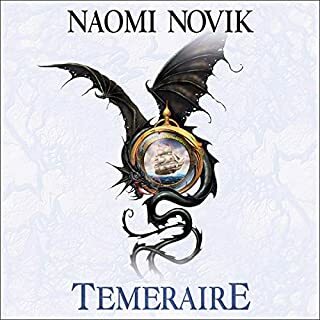 I'm really enjoying the steampunk aspects and can't wait to listen / read the rest! Definitely would buy again! These are the first three books of a series of six. I hope the next in the series will be released soon. I found the story to be well written, attention grabbing, and very entertaining. There's magic but also things like old style fighter planes, which sounds like a strange combination, but the author makes it work. Well worth the credit. A HIDDEN JEWEL - CAN'T WAIT FOR THE REST!!!! I just hate that 5 stars is all that I can award this series. I'd love to shout out to everyone who loves a good tale.........listen to this. Yes, get the full benefit & LISTEN not read. The story weaving is excellent but the audio enhances it to the NTH DEGREE. Caitlin Davies did an awesome job! Each character has their own voice and there were many many voices for her to do. Imagine doing individual voices & personalities for an entire fighter squadron along with the main characters and supporting characters. She even got her soulblade, Jaxi's voice at it's "snarky" best. What a Great Omnibus of books. I spent sleepless nights listening to this set of 3 books. The only thing wrong is that the remainder of the series isn't available on Audible YET. 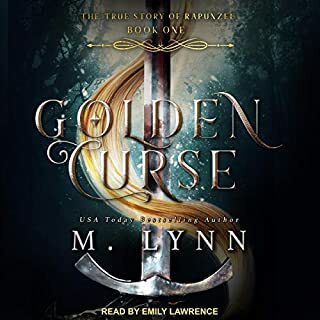 There are a few other books at audible by this author but not in this series...I CRAVE MORE. This series is a cross between life on other planets & magic. The author made it marry very well. It sort of reminded me of Jayne Ann Krentz/Jayne Castle books in the beginning years when I couldn't put them down. 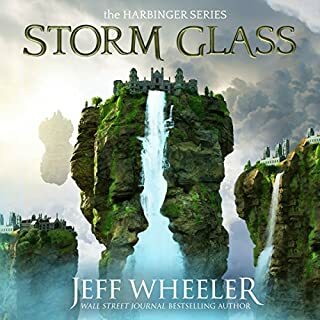 The shocker is that I got this 3 book set through Amazon for $.99 plus the extra few $$ [2.99] for the audible version [whispersync rocks on occasion]. I can't believe this series isn't flying off the shelves. Basically, $4 for 27.5 hours of bliss. 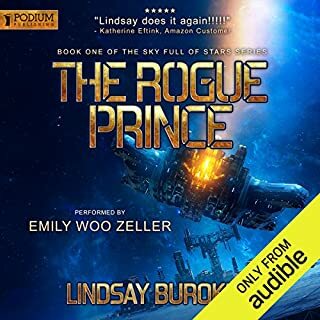 This author was unknown to me prior to my listening to this audiobook but I plan to put Lindsay Boroker on my short list of authors & am eagerly waiting. It has been ages since I have enjoyed a series as much as this one. Oh, there have been a few that I have enjoyed quite a bit but Dragon Blood tops them all...and to think that I hardly paid anything for this much pleasure. Really, I wish I could tell the world about this series...I haven't been this excited in a long time. My only question is: How long do I have to wait for Patterns in the Dark (Dragon Blood, #4) & The Blade's Memory (Dragon Blood, #5)? I am like an addict that needs to know the rest of the story...I need that fix NOW. No, I don't want to read it. I want to hear the voices of all the supporting characters in Ridge's squadron. No, I NEED to hear Duck's country boy voice & the voice of Apex, his over educated priggish team mate & all the other wonderful voices that bring this series to life. 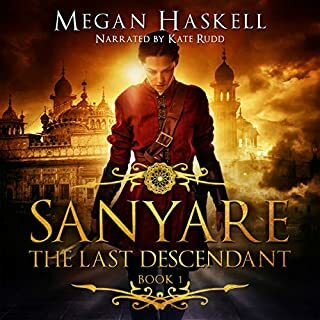 Sardelle & Ridge have much more to offer me & I can see a long life in this series because the supporting characters are so interesting & all have their own stories that need to be heard. Tolemek must continue his quest because his sister will have a few surprises for him...I just know it. The first book in this series grabbed me immediately, and over the last few months I've gone back to these books over and over again. I dare anyone to listen to the first book and not be entranced by the story and the magic. Love this! There is something wonderful about Lindsay Buroker's writing -- with Caitlin Davies reading -- that makes me feel like I'm in safe hands. I find I can relax at the end of a difficult day, knowing the stories she writes will take me away to a simpler time, with sweetly interesting characters that I find it easy to care about. 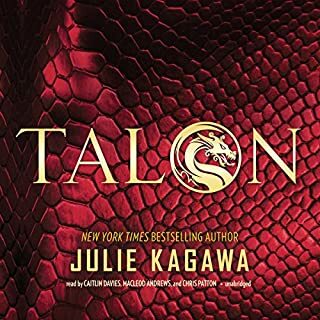 The magic, the potions, the action scenes and affecting relationships, are so well written and fleshed out, that it's easy to get lost in this world. 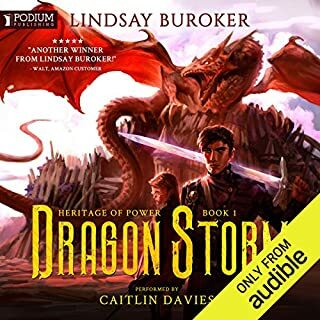 While exciting and action packed, Buroker has also shown that it's possible for a fantasy series to be romantic and charming, and I'm a big, big fan! Just got my hands on books 4 and 5 and I cannot wait to begin them. 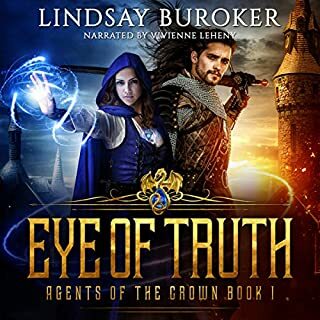 Highly Recommended: For those who love fantasy and/or steam punk, action, magic and potions, and a small core group of of close friends on a quest! I was not sure I was going to like the Dragon Blood series. I was so wrong. I was hanging on every word. I even listen every waking moment that I could. I can't. wait to start book four. Have to go now. Just finished downloading book 4. I made it through. Barely. Would you try another book from Lindsay Buroker and/or Caitlin Davies? 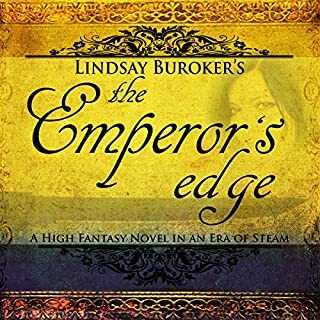 What could Lindsay Buroker have done to make this a more enjoyable book for you? Don't make the foreshadowing so blatant and detailed that you have to struggle through the next twenty minutes waiting for the foreshadowed event to finally happen. It isn't any fun knowing what is going to happen and having to wait for the book to spell out all the details leading up to the event. Also, be more consistent with what the characters and there abilities and the usage of those abilities. You give them abilities and then forget to use them during every exchange where it would have come in handy. And Another thing. Why can't the characters act like real human beings and confront one another with there problems. It was painful to see the characters completely ignore each other and while talking about the grievances they have with each other while being within earshot of each other. What three words best describe Caitlin Davies’s voice? It ended. The only reason that I finished it was because I was hoping that the pace would pick up and the action would build more anticipation. This never happened and any chance of it was killed with the over detailed foreshadowing that removed all mystery and suspense. Note to self. Don't by any more books by this author. Well done story with excellent narratiion. The story(with snarkiness) and narration pulled me to this world of engines and magic. A very enjoyable steampunk adventure, join Col. Bridgewater his crazy crew including pimples, apex, raptor, duck among others. Also a three hundred year old wizard and her sword (soul blade), the blade provides a sense of humorous dialogue. Such terms as soul schnitzel are included! What about Caitlin Davies’s performance did you like? Her ability to voice soo many characters. Nope far to long for one session. I have never been an audio fan, preferring real books, our at least ebooks, but had to try the free offer. This brand of books is right up my ally, and HAD to have it. Actually my whole family has been taking turns listening, the story if so intriguing, and the narrator was utterly ridiculous!!! She used perfect voices and tones, that I was always sure would be lost without seeing the words, and the format! I'm very impressed, now just to get the rest if the series!! I just hope that it's the sane voice, it's almost like they are alive ..would be a shame if not, I think I would not listen but have to read them. Can't wait to see what happens next!! Lindsay's books are full of entertainment and personalities that draw you in. I love her strong female characters! 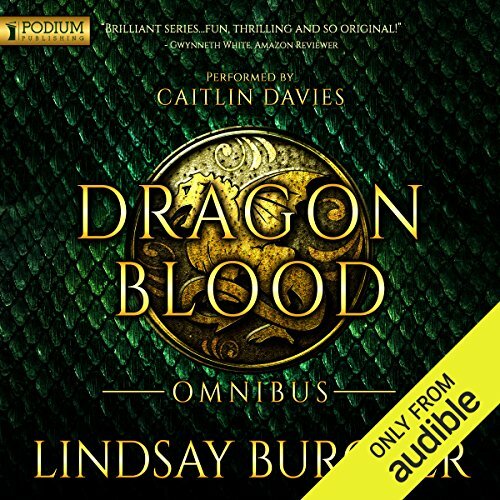 Full of action and adventure, wonderful characters, and humor Dragon Blood - Omnibus was a joy to listen to! The performance of Caitlin Davies was excellent, and really brought Lindsay Buroker's characters to life! I am truly looking forward to the rest of the series. This is a rollicking swashbuckling tale of a sorceress out of time, a rakish pilot, and various sidekicks. 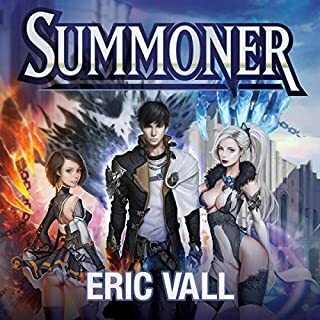 The first book tells of Sardelle and her soul blade and how she encounters Ridge and there is quite a heavy emphasis on romantic connection between the protagonists. Book 2 tells of one of Ridge's squad and her battle to escape prison. Helping her is a pirate with the nickname Deathbringer. The third book brings them all together on a mission for the King although the emphasis is heavily on Ridge and Sardelle. This is no Way of Kings. It is an enjoyable romp with just enough background and description to get you into that world but nothing more. 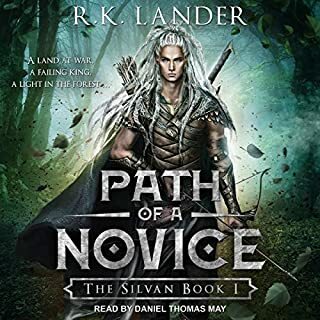 It made a nice change of pace from the intense epics of Brandon Sanderson that I had been listening to up till this point. A nice distracting listen to and I will get the next one in the series if that's any indication. 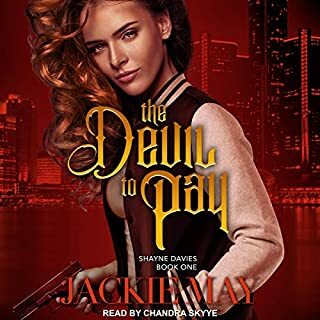 The author took a little getting used to as she used quite harsh accents for some of the characters but after a while my ear got used to it. She's not the best reader I've heard but she wasn't awful either. 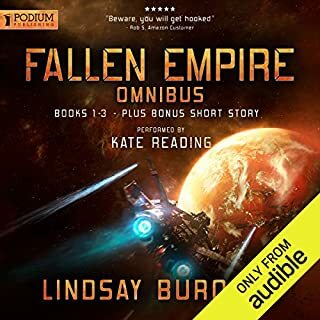 All in all a reasonable series and worth a 'credit' from Audible. This story is just about perfect for me. Great characters, humour, romance, lots of action and adventure and I love the mixture magic and machines. Caitlin Davies's performance is superb, especially of the snarky Jaxi Character. 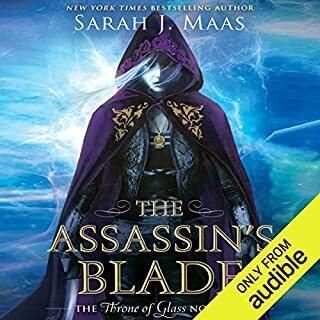 Can't wait for the rest of the series to be added to Audible. humour is prominent in these books. enjoyed them a lot. would have liked a forth book though. great characters and fast pace story. sort of rushes the story towards the end of each book though. A good book to pass time amiably, not memorable. It was ok, but like so many stories you feel they have a good idea for a plot but then don't quite do it justice in the delivery. I also think some of the plot points needed a bit more contemplation. Thought the story was excellent and the idea of old and new eras merging was epic. But I struggled listening to this because I didn't quit take to the narrators voice. Good listen. Nice mix of sifi and fantasy. Character development and plot lines are good but nothing special.